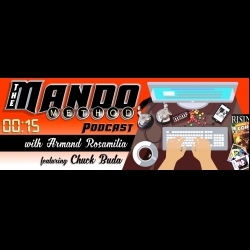 Blogging is the topic this week for co-hosts Armand Rosamilia and Chuck Buda as we delve into our own thoughts (right or wrong) about the relevancy of using your blog as an author in this day and age. Then we talk about some other stuff. Meanwhile, Erin Sweet Al-Mehairi talks about some upcoming show ideas for Marketing Morsels and what you can expect in the coming weeks. Then Chuck makes us all pork roll, egg and cheese sandwiches.